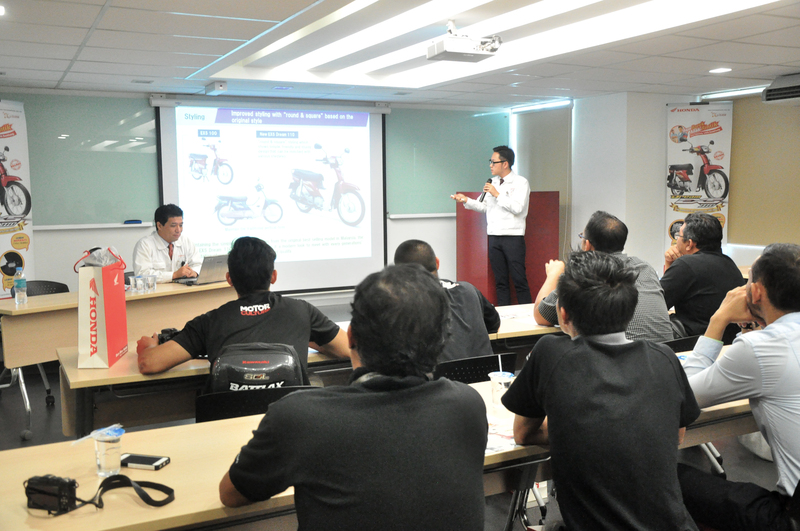 Recently, our team got invited to attend an extended explanation and detail elaboration of a product by Boon Siew Honda in it’s Kuala Lumpur office. We got there to find out what was it all about and it was really nothing much except for a detail lecture and explanation on their EX5 110 machine. 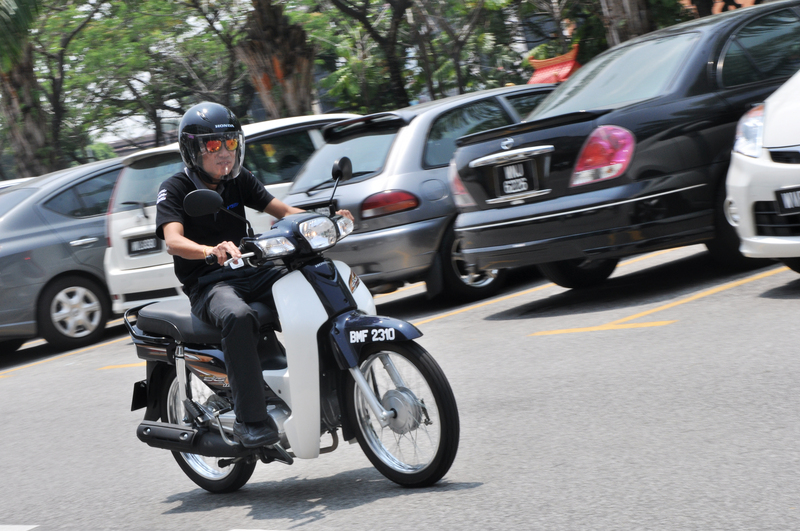 It was introduced back in 2013 and we’ve ridden it around a little bit last year during the simultaneous introduction of the bike with the Honda Airblade. During the technical explanation by the Honda reps, we find that this is the new direction that will be taken by Honda here in Malaysia. They are focusing towards getting more people to understand about their product, in hope to regain strength in this difficult economy for automotive here in Malaysia. 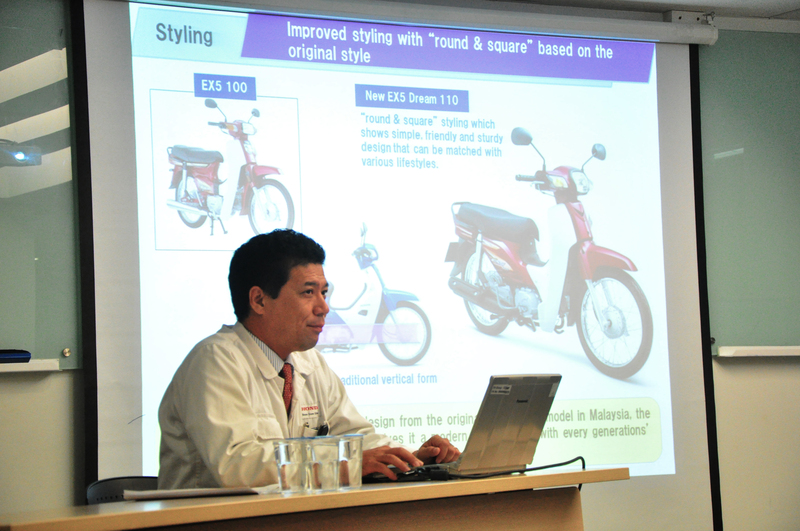 For us in Malaysian Riders, this extensive effort by Boon Siew Honda is a positive gesture to really get a two-way communication going between consumers and manufacturer. A group of media reporting in on that particular event are responsible to further educate people about these kinds of information given by manufacturer. As for us in Malaysian Riders, our scope are totally different; with Films being our main way of communicating with everyone, it is highly unlikely that we’ll be the perfect or ideal platform to give a written elaboration of a certain product. What we can say is, the EX5 110 is a replacement model for the old and trusty EX5. Coming in with an all new chassis and rework engine to give a little bit more power and efficiency. To find out about that, we really must do an extensive test for that. We are hoping to be able to share a bit more of our perspective towards the new EX5 in collaboration with our new media partner Motomalaya in the coming future. As for now, Boon Siew Honda have something up their sleeves that will be exciting to both consumers and dealers alike, we are confident that it will be informative and fun at the same time. With that, us in Malaysian Riders really just hope to be a platform for all you readers and viewers to get a different perspective of information coming from all kind of manufacturers to come. Stay tune with us for more info and exciting news in the future by LIKING us on FACEBOOK and be sure to SUBSCRIBE to our YOUTUBE CHANNEL and be among the first to watch our new episode of Malaysian Riders motorcycle show.